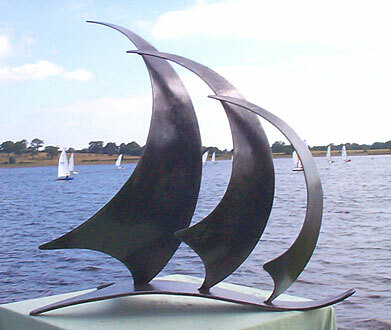 This sculpture is forged in mild steel and finished with a clear lacquer suitable for indoors. It can be galvanised and finished with graphite paint for outdoor siting. 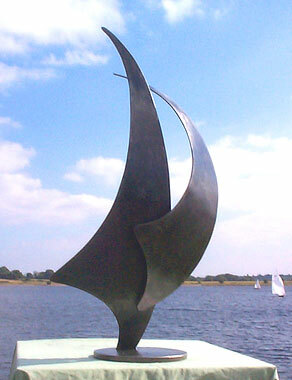 The size of this sculpture can be reduced if smaller trophies are required. This sculpture is finished with a clear lacquer suitable for indoors. It can be galvanised and finished with graphite paint for outdoor siting.